Our Gourmet Chicharrones are simply awesome. Just taking a good look at our bag makes one wonder how, in this particular case, time has stopped. This product is produced in the same manner as done for hundreds of years, and the taste is something to remember. 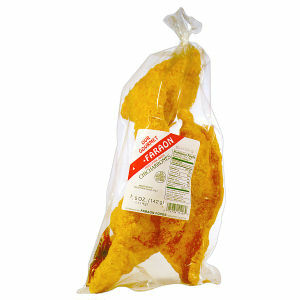 Faraon gourmet chicharrones is a snack that will start a conversation. It is truly a party starter! Faraon quality is guaranteed.